Can I use 30 seconds of a Beyoncé song in the background of my video? I want to use 30 seconds of the Beyoncé song “7/11” for a project in my broadcasting class. The song will be playing in the background while students from my school are dancing. The broadcasts will be shown to everyone in the school, featured on our local cable news channel, and posted to YouTube when we are done. Can I use the song even if it’s only 30 seconds? No, even if it’s only 30 seconds, its still likely to infringe Beyoncé’s copyright. Yeah, that’s right. You can still infringe a copyright even if you use a song for 30 seconds or less. Crazy huh? It’s not just the length of time that is a problem, it’s how recognizable and significant the song is in the video. There is a legal test called de minimus that allows people to use a small bit of copyrighted work and not infringe. To say that something is de minimus is a fancy Latin way of saying that the infringement is too insignificant to be worth anyone’s time (AKA minimal). In your case, the use of the song would probably not be de minimus because everyone who’s anyone can recognize that Beyoncé is singing in the background. Even though its only used for 30 seconds, it is still undeniably 30 seconds of the Queen B. Since the 30 seconds of the song – the artistic expression -- is clearly recognizable, it would likely infringe on Beyoncé’s song. Is there any way that I can still use the video? Even though the video infringes on Beyoncé’s copyright, if you only show it to your classmates at school and not on YouTube or cable TV, then things change. Since you made the video for a class in school, it could be an educational Fair Use of the video. Why is it such a big deal if the video is put on YouTube or broadcasted on TV? It’s a big deal because of the amount of people that the broadcast reaches. If the video is on YouTube, everyone who has access to internet has access to your video. One of the rights that comes with copyright protection is the right to broadcast a work. Beyoncé worked hard for her fame, and probably wouldn’t be happy if everyone could broadcast her music for free. (She won’t even let Jay-Z do it, and he put a ring on it.) 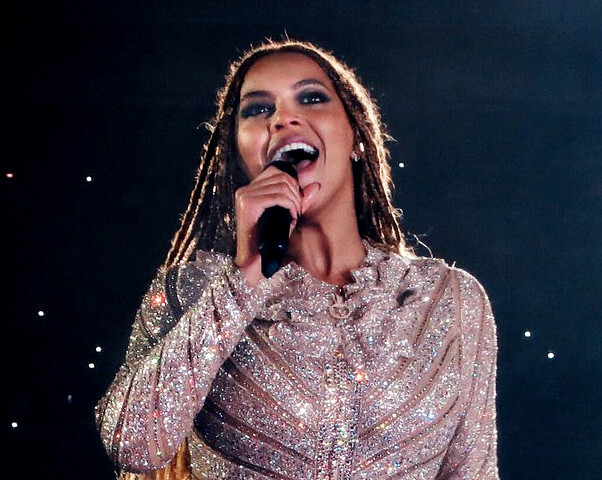 Plus, YouTube’s ContentID program may automatically flag and take down the video if you try to upload it because the program can tell that it was not Beyoncé, the rightful copyright holder, who uploaded it. This is known as a DMCA takedown and you can learn more here. I’ve heard musicians take small pieces of others work all the time. Why can’t I do it? Musical artists do take parts of songs from other artists all the time. This is called “sampling” and it’s pretty cool. However, cool as it may be, it is still copyright infringement. Samples of music still infringe the original artist’s work. For instance, if Eminem takes a sample from Dr. Dre’s work and puts it in a song it’s copyright infringement. If Eminem doesn’t get sued, it’s because Dr. Dre either gave permission to do it, or doesn’t care because Eminem and Dr. Dre are such good buds. Have questions about free speech rights? Send your questions our way, and we'll have our team find you an answer. Keep in mind, we’re not actually your lawyers and aren’t representing you. We can definitely help clear some things up and give you some info, but if you need actual legal help for your situation, you should find a lawyer in your area. And don't worry, any information we collect is only for our own research, and we won’t share it or sell it to anyone. The McLellan Online Free Speech Library connects students and educators to resources dedicated to protecting and explaining students’ First Amendment rights in an ever-changing technological era. Michigan State University's First Amendment Law Clinic is the only clinical school program in the country focused on protecting student speech and press rights. Richard McLellan, Michigan attorney and advocate of free speech, has partnered with the MSU First Amendment Clinic to offer these resources online to students nationwide at the click of a button.